Please Welcome Kim Wong to Co-Op Critics! With our second podcast segment in the can, we are now finally starting to generate some content for our little corner of the universe here at the Co-Op Critics blog. Our good friend Kim Wong is going to be writing some articles and reviews with Dan and I on the blog here, and he’s got a great series of articles to kick things off. Stay tuned later this week for Kim’s series on his decision to attack his pile of shame and buy no new games in 2011. For more on the Mass Effect series, head over to www.masseffect.com. 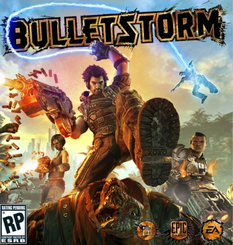 Fore more info on Bulletstorm, you can head to the game’s official site www.bulletstorm.com. So, here we are–an official Co-Op Critics blog. Dan and I plan on doing plenty more segments for the Secret Identity Podcast in the future, but also wanted a place to put up reviews and discussions that might not make it into the show. The philosophy behind Co-Op Critics is simple–all of our reviews and game discussons will feature at least two points of view. We’ll also feature some articles that take a look at our own gaming habits, how we play. why we play, and so on. These article won’t necessarily have two points of view, but they certainly could. We have some friends that will be contributing from time to time, especially to the site here. There’s a great series of articles coming up from a good buddy of ours in the next month or so, so stay tuned. 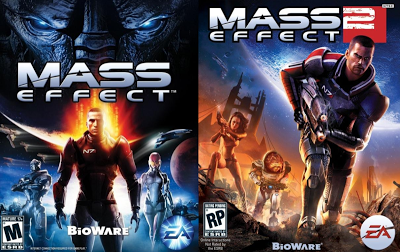 Upcoming segments that we’re already planning are a “Mass Effect” vs. “Mass Effect 2” discussion, and a segment on the just-released Nintendo 3DS. Thanks for checking us out, and free to send suggestions for future segments to sipodcast@comcast.net.